Buying last year's model is often a great way to save extra money, especially when there's a redesign. 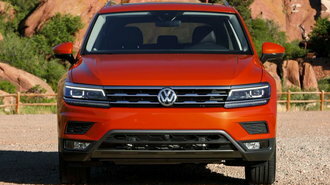 However, that's not always the case, at least if you're planning to lease a Volkswagen Tiguan in January. Based on our analysis, it's actually cheaper to lease the redesigned 2018 Tiguan compared to the outgoing generation that has been around since 2009. Here's a look at why that's the case. This month, the 2017 Tiguan 2.0T S is listed at $239 for 36 months with $1,999 due at signing. It comes with an allowance of 12,000 miles per year and has an effective cost of $295/month. We consider it a fairly good value given the vehicle's $25,860 sticker price. But it's not the best deal. At the same time, the redesigned 2018 Tiguan 2.0T S is listed at $199 for 36 months with $2,699 at signing based on an MSRP of $25,495. Although the mileage allowance is just 10,000 miles, the effective cost of the lease is $274/month, $21 less than last year's model. So why is the 2018 Tiguan so much cheaper to lease than a version essentially unchanged since 2009? Based on unadvertised leasing documents from VW, the main reason appears to have to do with a big difference in underlying residual values. The 2017 Tiguan S has a 36-month residual value of just 47%, although better-equipped versions like the SEL are as low as 42%. In contrast, the updated 2018 Tiguan S comes in at 58%. The 2018 Tiguan also benefits from a boost in factory lease discounts to start the year. Most of the front-wheel drive versions are now eligible for $1,300 lease cash, an increase from last month's $700. 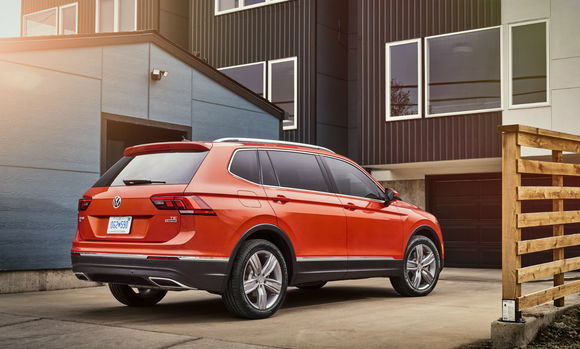 This month's offers also reflect the recently-announced 2018 base price cuts, which in the case of the Tiguan S equates to a $600 advantage compared to when the vehicle was first introduced last summer. With an effective cost of $274/month, the 2018 Tiguan isn't cheap, but it is a pretty good deal. Here in California, that's still $19 more than the 2018 Toyota RAV4 and 2017 Mazda CX-5. The former is currently one of our top SUV lease picks.